Three years ago, Anushka said in an interview that if she ever planned to have a destination wedding, it would be "somewhere like a vineyard." 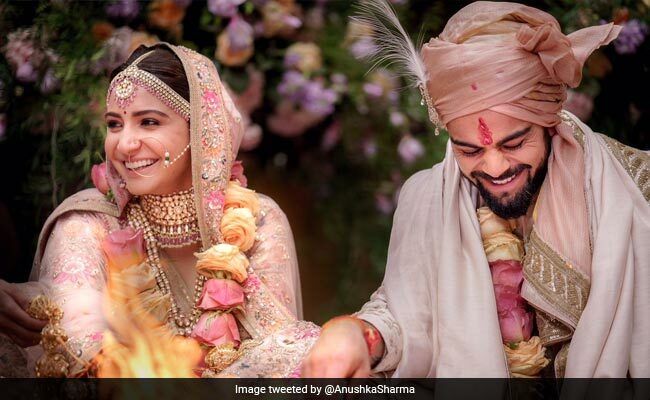 Her dream come true when our lovable couple of B'town, Virat Kohli and Anushka Sharma, also known as Virushka, tied the knot at a gorgeous Tuscan Villa in Italy called Borgo Finocchieto on Monday. Their marriage rumours had created a buzz in the media and amongst the fans when Virat took a break from the ongoing Sri Lanka ODI and T20 series and took a flight with Anushka and their family and close friends. The wedding was kept as a secret from all but post marriage both had made an official announcement on Twitter and had also shared some of the beautiful wedding pictures with their fans. 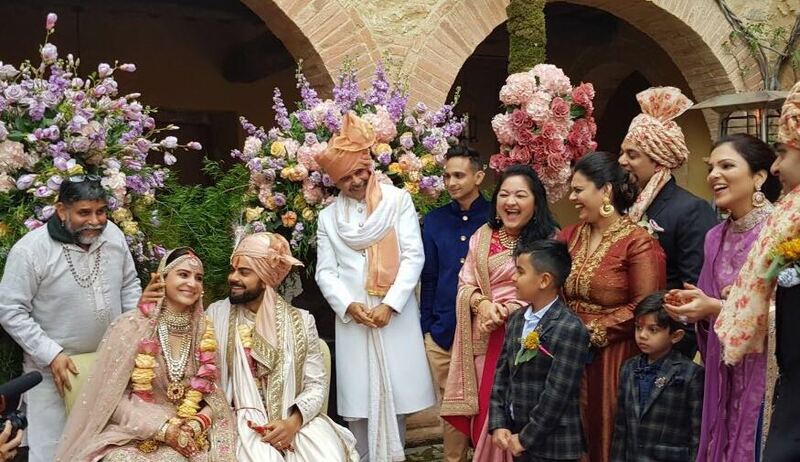 All the celebrities from Bollywood world including Amitabh Bachchan, Shah Rukh Khan, Priyanka Chopra, Karan Johar and the cricketing giants including the likes of Sachin Tendulkar and Harbhajan Singh have wished a "happily ever after" to the newlywed couple. Anushka wore a floral blouse along with a hot pink and yellow silk lehenga on her Mehendi. She wanted a bright coloured Boho look for her Mehendi ceremony, so she went for hot pink colour. Virat wore signature Khadi kurta and choodidaar along with a Fuschia Pink textured silk Nehru jacket. His Juti was of leather with Zardozi work on it. Anushka chose a Velvet Sari from Sabyasachi for the engagement. The work of pearl and Zardozi made it special. Along with this, she carried the uncut diamond and pearl choker necklace. Smokey Eye Makeup with this whole look was giving her a royal look. At the same time, Virat appeared in a blue suit for the occasion. The theme colour of the wedding was pink. Both Anushka and Virat were in Pink coloured Lehenga and Sherwani. The couple's outfits were from Sabyasachi's 2016 summer collection. We wish the couple a happy married life and many special moments ahead.